1971 Sport model Ford Bronco. No Rust. 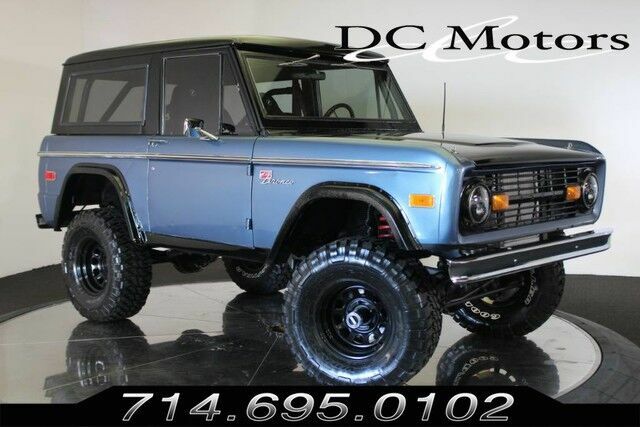 Fresh 302 motor, aluminum radiator, 4 barrel Holley carb, electronic fuel system, power steering, power disc brakes, 4 speed stick shift transmission, 3.5" suspension lift, new interior upholstery, new sound system, 15" wheels/33" tires. For more information about this vehicle and attractive financing options, please call our experienced sales team at 1-800-730-MOTOR. Stock # L06318, Manual, 60838 mi.